The U.S. Botanic Garden developed a plant-based curriculum to assist teachers in self-guided field trips to the Conservatory. How Plants Work: A Guide to Being Green is designed to help students explore four Big Ideas about plants. Our Teacher's Guide helps teachers and chaperones lead students through investigations as they discover the intriguing life, structural design, adaptability and resourcefulness of plants. Are Plants Like Us? Explore the phenomenal things plants can do and how thoroughly humans depend on them. 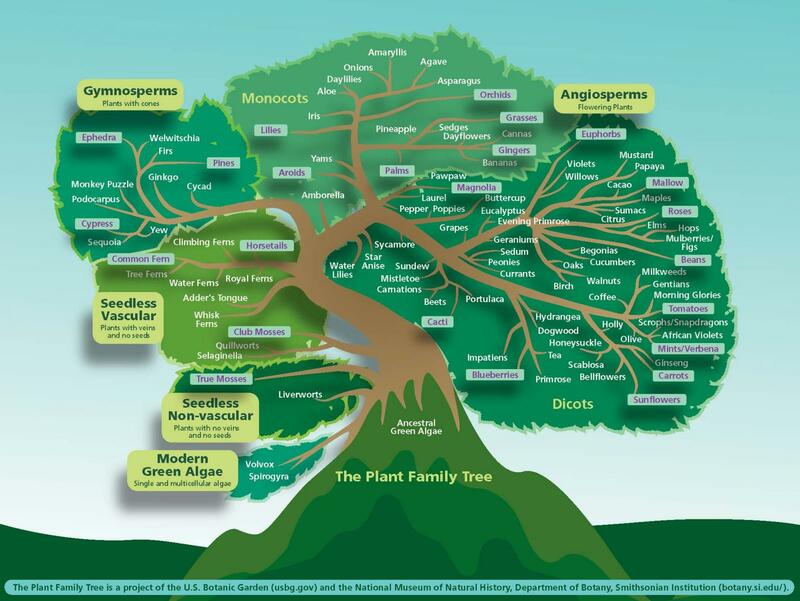 Use the provided plant family tree to trace familiar plants back to their ancestral roots. A Puzzle of Plant Parts. Discover the many forms plants take as a result of being adapted to unique environments. Surviving Against the Odds. Learn to appreciate the incredible variety of ways that plants meet their daily challenges (including battling predators, surviving drought, finding enough light, etc.). Plant Multiplication. Explore reproductive cycles for four recognized plant groups: ferns, mosses, gymnosperms and angiosperms. How Plants Work is not about creating a list of facts and figures. Instead, the intent is to challenge students to explore, think and come up with their own questions and conclusions about how plants work and the various ways plants impact human life. concluding with remarks and discussion points to help students summarize and reflect on their Big Idea-related learning experience. Depending on your use of How Plants Work, allow anywhere from one to three hours for your visit. Divide students into four groups, one for each Big Idea, and assign a chaperone to each group. Provide the class with an introduction into each of the Big Ideas using the included Introductory Lesson.